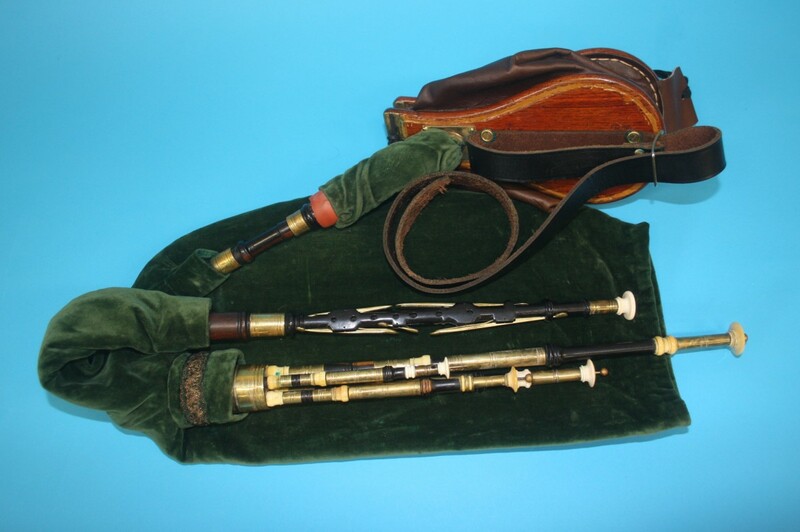 An early 19th century set of composite Northumbrian smallpipes, the stocks stamped ‘Reid’, the African hardwood chanter having seven brass keys stamped ‘Burleigh’, numbered ‘1063’. The four drones with brass ivory and African hardwood, stamped ‘Reid’ on the fruitwood stock. The bellows possibly by Reid (restored) with ivory air inlet fitting, along with an additional ivory chanter and other smallpipes spares.